Glass head silk pins. My favorites are put out by Clover and have red and white heads. Why are these a thing? The heads make life so much easier. 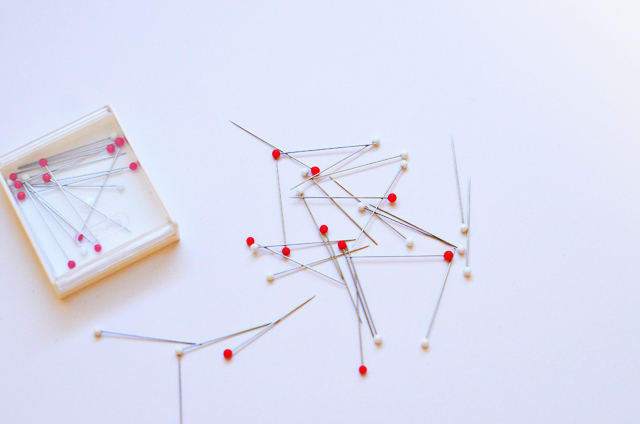 You can grab them and jab them into anything without hurting your fingers (hello awful headless pins!). And I say silk pins because as a beginner you may not know that there are many many different types of pins. Silk pins or as they are sometimes called sharps, basically pin into anything because they are extra sharp and fine for pinning into silk. The Clover ones aren't too long, they don't bend too easily, you can use them in knits (which can be hard to pin sometimes) and when you iron over them, the heads don't melt. So worth it. Magnetic pincushion. I'm a serious Clover crusher and my favorite is again, put out by Clover. It's the Magnetic Pin Caddy and the magnet is nice and strong. I know it's incredibly tempting to use a really cute old fashioned stuffed pincushion. The magnetic ones are not as cute, I'll grant you. But what they lack in aesthetic, they more than make up for in ease of use. Get one of these and you won't have to worry about your pins being strewn all over your workspace and pushed onto the floor where you might find one stuck in your foot later. Just sayin is all. These make sewing way, way faster. A good pair of shears/scissors. Or a good quality rotary cutter - whichever you prefer for cutting. I use a pair of Kai shears that I love to death. 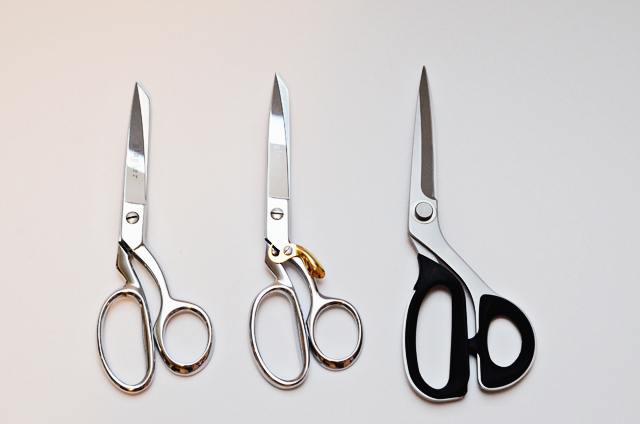 But being the sewist that I am, I have several pairs of Ginghers too and both are great scissor options. Invest in a pair and when they get a little dull, go get them sharpened. 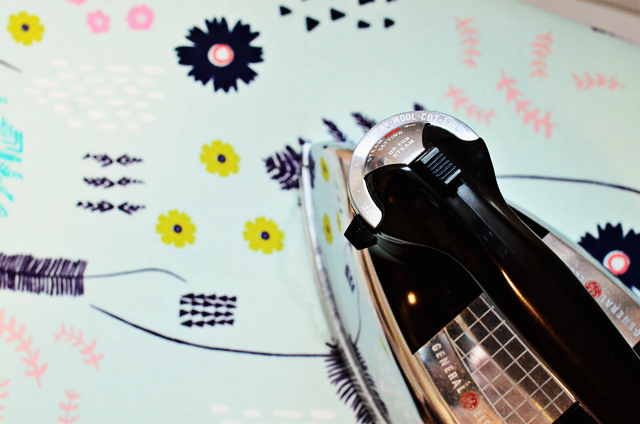 A good pair of shears will last you the rest of your sewing days - as long as you don't go and cut rocks with them! Same with a good rotary cutter. I have a Kai for that too and I haven't needed to change the blade in 3 years - it's seriously that awesome! Good thread. It's a small thing, but good thread is a must. This is what holds your garment together! You really do get what you pay for and if you buy cheap thread, chances are high that it's crap thread too. And please - do not use your grandmother's hand me down thread! Thread has a shelf life because it can rot. My favorite thread is Metrosene all purpose polyester thread, but Gutermann and Coats and Clark also put out great threads and these are all pretty easy to get your hands on at either Joann or Hancock. Don't do the discount thread. It's discounted for a reason. Invest in a nice set of hand sewing needles. I love these self-threading Clover ones. You hold a piece of thread over the top, click the thread into place and voila! the needle is easily threaded. Seriously, these are marvelous. They come in a handy set of lengths and weights and make easy work of hand sewing. Especially if you're prone to continually de-threading your needle while you're sewing. Change out your machine needle after every two or three projects, and/or change it out according to the needs of your fabric. There are different sized needles out there for your machine and it's worth changing out often. 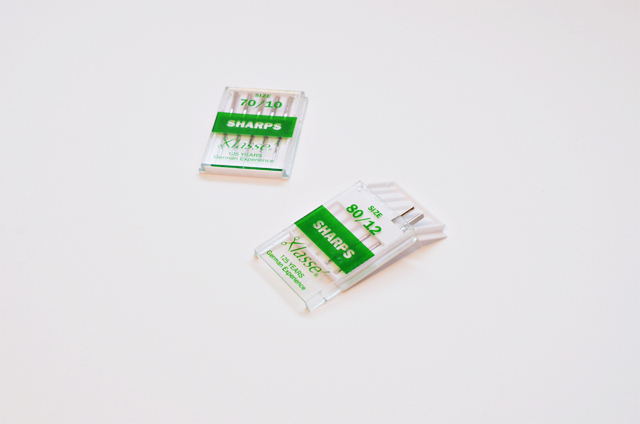 My favorites are the microtex or sharps needles put out by Schmetz or a company called Klasse. These guys are extra sharp and work wonderfully on the majority of fabrics. Last, but not least, get yourself a good iron. My best tip is to get a vintage steam iron. General Electric ones are grand (got mine off ebay, but etsy is a good place to look too). I work with one of these and have done so for the past 3 years. My guy has never given me fit, is hotter than you can even imagine (oh la la), always has steam for me, does not have auto-off (which is great if you're a sewer) and is heavy. Good grief, I wish he was my boyfriend! I love my iron! So what are your favorite tools? Was there a specific tool when you started sewing that was the best thing since sliced bread? Do share! Do you have any recommendations for years or models of vintage general electric irons? There are a ton of them on ebay, and I'm not sure what to choose. Thanks! Wow, I could go on and on. I like the wrist pincushion. You really need a good ironing board--the vintage kind that's really a wooden board with solid tripod legs--none of those modern aluminum ironing contraptions that tip over. I'm lucky to have inherited my mother's. Really good tailor's ham, sleeve ham, sleeve board. And the Gingher small scissors are essential for cutting threads by the machine and all kinds of other small tasks. As a newbie I find it hard to sew a straight seam and since my machine is computerized I wasn't sure if I could use the metal seam guide. I came across the plastic one made by Clover with Nancy Zieman and I'm in heaven. I too have a GE iron that is super heavy, I purchased it from Wal-mart many years ago prior to my venture into sewing and I love it. I now have to invest in some good shears I have my heart set on Kai but in the interim I'm trying to get my Jo-ann's coupon to get me 50-60% off a pair of gingher's. I shop the thrift stores for irons. The older ones do need to be cleaned out, they should be stored dry, and sadly they do pass away because previous owners did not do any of that. I probably take better care of mine than I do my family. I don't let them use it, certainly. The public iron is the cheapest one I can find, and I put Sugru on the feet to 'widen its stance' (stop that infernal iron toppling). Gotta have something to keep the foot pedal from sliding away, an old foam rubber mousepad works great for me. 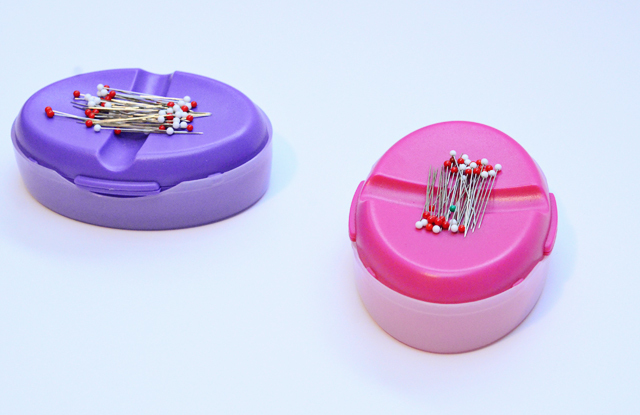 The pincushion is an absolute must for me because I kept loosing my needles. With the pincushion I always know where they are. I too need a good pair of shears. I think it would help projects go a lot faster. There are two things I can't imagine living without - Thread Heaven and Swedish tracing paper. 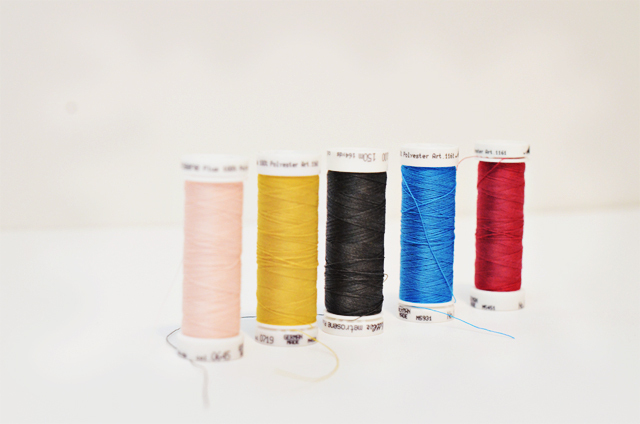 Thread Heaven is a little more spendy than beeswax, but it reduces tangles and drag and doesn't melt or stain. Swedish tracing paper stores easily, folds up nicely in pattern envelopes, can be sewn to check size issues (but I still make a muslin), can be slashed and taped back together AND its texture grabs fabric and reduces the need for tracing and pinning on many projects. NICE tip on self-threading needles. I didn't even know there was such a thing and I'm going to buy some tomorrow. 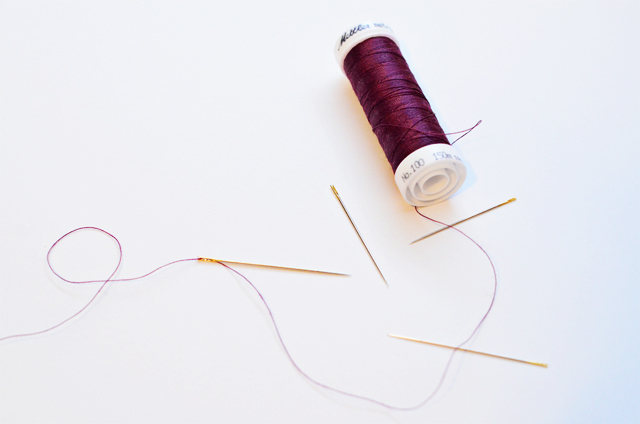 On the subject of needles, I think sewists who use overlockers often overlook the value of a good tapestry needle for anchoring thread tails inside seams quickly and neatly. I love the auto-off on the iron. I consider myself safety conscious but I have been known to wonder into my sewing room and shocked to see that I left my iron "on." Were it not for auto-off, my iron would be red hot. Thank you to the engineers who thought of auto-off. And thank you to Carol for the idea of using an old mouse pad to keep the wondering foot pedal in place. Now where do I find a mouse pad? My #1, can't live without, would have to be a spool of #40 cotton basting thread. Guaranteed to turn anyone into a baste-oholic. Next would be a small pair of nurses' bandage scissors. They're perfect for trimming seams because they make it impossible to cut down through into the garment. No more "Oh S$&@" moments! I have been using my solid metal thread snippers since i was a girl. They were a gift from my grandmother, who used them in her job at the pants factory, where she sewed pockets for soldiers' uniforms for WW1. They are the style where you slip your fourth finger into the ring and squeeze with thumb and index finger. Also love my bodkin for turning, and recently discovered the tool that turns sewn channels with a pipe and dowel system. My pins are in a lovely decorative dish with a heavy-duty shop magnet attached underneath (see, they CAN be pretty!). I plug everything into the same power strip - machine, serger, iron, light, and the strip sits by my machine where i can see it. When i'm done with my session, i just flip the strip off, and problem solved. I always remember to turn off my light! No more irons left on. thanks for the mouse pad tip - that's one problem I hadn't solved yet. Love your blog - thanks for sharing. Oooh these are great tips! I never heard about Hancock. I just signed up for both. And I second that on Craftsy. I love Craftsy! It has everything you need to learn new techniques. Very good tips from post and the commenters! I'm just building my sewing inventory and see so many things here I'll need. I purchased nice scissors, but am not happy with them....perhaps the Ginghers are necessary. And my small cutting mat just doesn't "cut it" (sorry, couldn't resist). Great list, Sunni. I'd add a decent tape measure that doesn't stretch or break. You can measure your size, use it to alter the pattern, and most importantly, hang it round your neck so you look the part! I absolutely adore my Clover Chaco Liner; it's basically a little reservoir of chalk powder and a clicky wheel that deposits it as you draw. It doesn't drag at the fabrics like tailor's chalk can and is a dream to use. The other thing I like to suggest is coloured tracing paper. Stick a piece top and bottom and you only need to trace everything off once with the confidence that it is perfectly matched up. My best advice, rather than product, is to mark the sewing line instead of the seam allowance. It allows for much greater precision and ease of fitting; you're not worrying about cutting the seam allowance just so, because you have the actual line to follow right there in front of you. We all use chalk or removable pen anyway, so it's not like the line will show at the seams at the end. My rotary cutter and cutting mats. I use these ALL the time. My shears/scissors don't get much love because of this. Black & Gold hand sewing sharps. OK, after reading your post, I rushed out and got some of those self-threading needles. YOU'VE CHANGED MY LIFE! Oh my goodness, I can't believe I didn't know about these. Besides being super convenient, it's the best way to anchor the ends of threads, especially when they're too short for conventional threading. Just stick the needle in the fabric, pull the thread in and go. No more short-thread nightmares. it doesn't even matter if the ends are frazzled - no trimming, spitting, twisting required. I'm pretty sure I won't be breaking and mis-shaping nearly as many needle threaders. THANK YOU. I've bought one from ebay and a couple from etsy. I would say that you need to be looking at the ones that say they are steam/dry irons - that's if you want the steam. The steam ones have the holes in the ironing plate and you can put water in the top. Also look for ones that say they are still in working condition. Usually they will post that, but if in doubt it's worth it to ask the seller. Sometimes the ironing plate has oxidized a little - meaning it has stuff on it that will not come off, no matter how hard you try. Usually this is fine because it won't come off on clothing or fabric either. I had one that I gave to my mother that had that on there, and it works like a champ and has never given her any fits or left residue and stains on clothing. Hopefully this helps! I would love to try a wooden ironing board! You are lucky! I agree about the tailor's ham, sleeve ham and sleeve board - all are wonderful. And my favorites are the ginger nippers to cut threads! Great tips, thank you! Gingher are still marvelous scissors - I still use mine and except for my Kai dressmaking shears, all of my other scissors are Gingher's. And yes, the coupons at the big box stores really help on these types of equipment. Good scissors will last you a lifetime. Thanks for the tip on the Nancy Zieman seam gauge - I love Nancy! I shop the thrift for them too! Great tip! What a fabulous tip! Definitely going to try because I always have this problem! Great tips - definitely must try Thread Heaven. When it comes to sewing on buttons this would be wonderful. My thread is always tangling and knotting up! Ugh! Definitely going to have to try the cotton basting thread! And I've heard you rave before on those bandage scissors. Gotta try them! I've had too many of those "Oh S$&@" moments! That is such good advice! I see so many new students using machines that they just purchased with a coupon or on sale at a big box store. My heart sinks every time and I never have the heart to say, "Oh you should have gone to a local dealer." I've heard so many stories about the machines at a big box store breaking and when you take them in to get repaired, the repair man saying that they just aren't fixable. There went that $150 or even $300! So frustrating! Wonderful ideas and I love the heavy duty shop magnet with a decorative dish - what a great idea! I'm so glad - they are my favorite too! They truly are amazing. I love them so much! Glad to have another convert to these!